The 2019 World Day of Prayer (formerly Women’s World Day of Prayer) has been prepared by the women of Slovenia and will be celebrated in more than 170 countries, in more than 60 languages and 1000 dialects around the world. 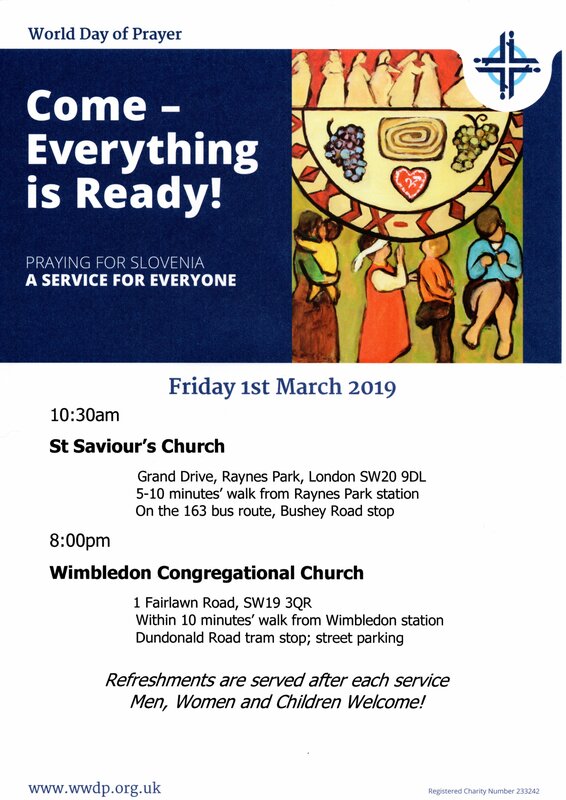 The theme, “Come – Everything is Ready” will be celebrated in Wimbledon on Friday 1 March at St Saviour’s church, Grand Drive and Wimbledon Congregational church – see below for times and details. Refreshments will be served after each Service. All welcome.